The profession and practice of journalism is well entrenched in its trajectory of change ushered in by digital media which has made the process significantly more open, democratic and participatory. It is now not just desirable but imperative for journalists of the future to acquire the skills and the mindset to set the tone, adapt, stay informed and introduce the new tools and the new thinking not just to the media industry but also to the consumers of news. 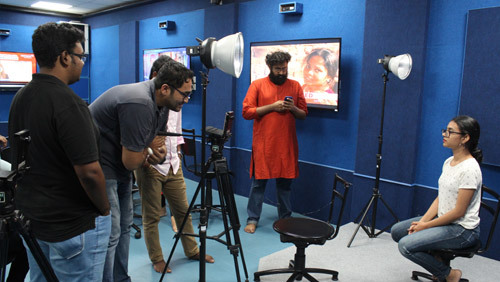 New media students of the ACJ are prepared to spearhead that change, particularly in the South Asian context. They are introduced to a curriculum that is on par with worldwide trends giving them the ability to think, work and engage like 21st century journalists. At the very heart of our programme are the core journalism skills and every new media concept and technology focuses on the application of these skills to the now age consumers of news on multiple platforms. Throughout the course, students will be imparted training in newsgathering, reporting, writing and editing. There will be a strong focus on language and style with students taught to write factually, creatively and analytically in response to the story’s demands. 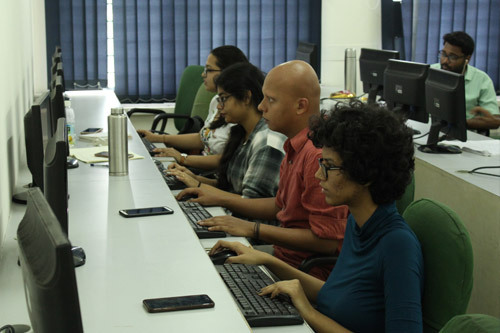 Students produce a lab journal, ACJ Newsline and their work through the year is compiled in a digital portfolio which showcases their individual digital journalism skills. In the first term, students are introduced to blogging, use of social media for the practice of journalism (including sourcing and verification of social media), writing for the web, web design, search engine optimization, and multimedia storytelling. They will also learn the basics of mobile journalism/mobile story telling (both audio and video) and will be imparted training on appropriate software packages and exposed to web design and production tools. Live-blogging, curation, microblogging are included in the curriculum. 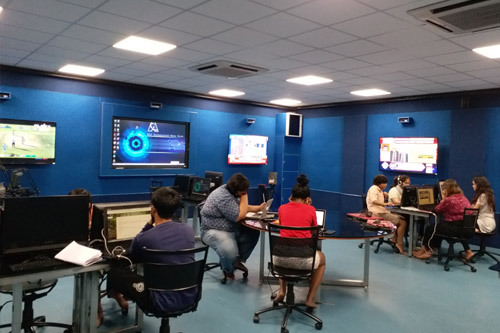 In keeping with the global trend towards convergence of the legacy and the new media, the students will also be exposed to digital newsroom practices and trained in integrated newsroom that encompasses different platforms of news delivery. In the second and third terms, New Media students use the Integrated Newsroom to run a news website in realtime, often competing with other big entities. This involves a number of skills such as tracking, selection and budgeting of news, newswriting and copy-editing for web, SEO, producing and embedding videos and multimedia content, live coverage of events (politics, sports, entertainment events, for instance) as they happen anywhere in the world but accessible through online/social media platforms, and, lastly, leveraging social media for newsgathering and news dissemination. This hands-on module, supervised by faculty, gives students a first-hand experience of digital newsroom practices. They will also be imparted skill set in interactive, multimedia and social media storytelling, infographics and podcasting. Students are taught how to reshape content to meet the demands of the web, mobile and social platforms in practical sessions. 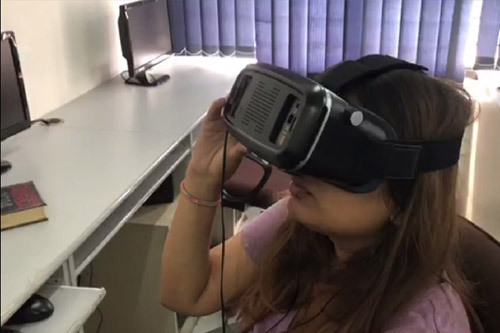 This also includes the use of Virtual Reality (VR) and Augmented Reality (AR) for journalistic story-telling, and the use of drone for journalism. Students will also be introduced to data journalism, and data visualization. Throughout the programme students are also required to participate in a number of collaborative reporting projects with student journalists from several universities around the world. In response to the dynamics of the digital media landscape, the curriculum is updated through the year so that students are exposed to the latest tools and trends and gain the confidence and the capability to adapt to the constantly-evolving environment of the media industry. .